I'm still recovering from over a week's worth of travel, followed by the passing of my dog, so I don't have much creative writing in me at the moment and I'm just going to take today to point to a just-opened exhibit at the Melville J. Herskovits Library of African Studies at Northwestern University. 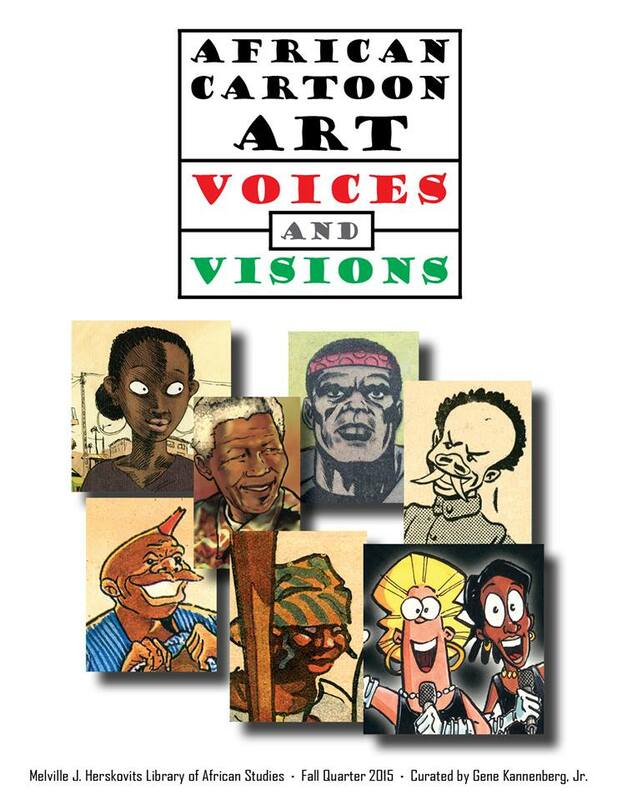 The exhibit is titled "African Cartoon Art: Voices and Visions" and was curated by Gene Kanneberg. It depicts the portrayal of Africa and African voices in comics by both natives and outsiders. I haven't seen the exhibit first-hand yet, but the photos look promising. It will be on display through the end of the year if you find yourself in the northern Chicago suburbs. A LibGuide is available online.